Yuneec Typhoon H520 Carry Case for professionals! This case was developed in cooperation with Yuneec Europe, to serve all requirements for professional organizations such like Police, Search and Rescue Teams, Fire departments, inspection services, professional videographers and many more..
Black, robust, water- and dust-proofed trolley hard case with wheels and extanable handle specially made for the Typhoon Yuneec H520 Copter. 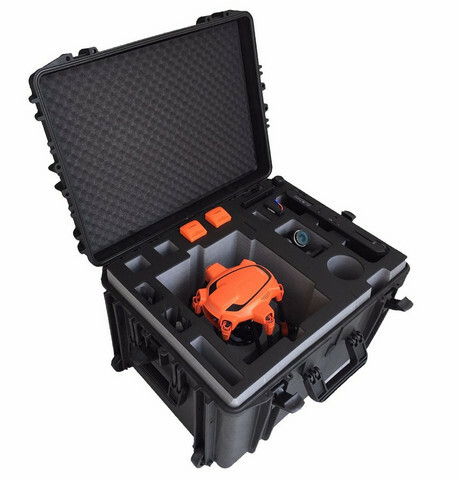 This case makes it possible to transport the Typhoon H520 including the ST16 Remove Control, 3 cameras, 8 batteries, 2x ST16 Batteries, Propellers, A10 Charging Station, CGO-ET, E50 and E90 (each one has one compartment), Sun Shade, diverse cables for A10 and Copter, Memory Cards. The large multiuse compartment in the second level of the case also offers plenty of space to carry large / longer accessories in your suitcase. The black trolley case weights about 9 kg and the dimensions are 687 x 528 x 366 mm. 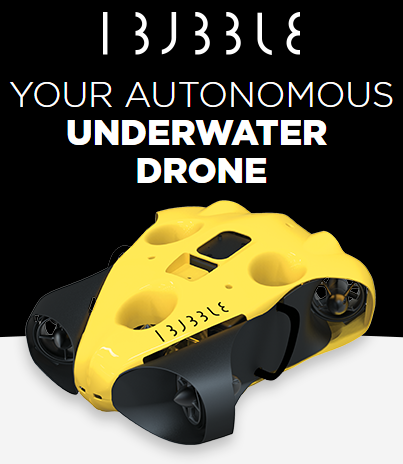 The case is certified as underwater and dust protected according to IP67.